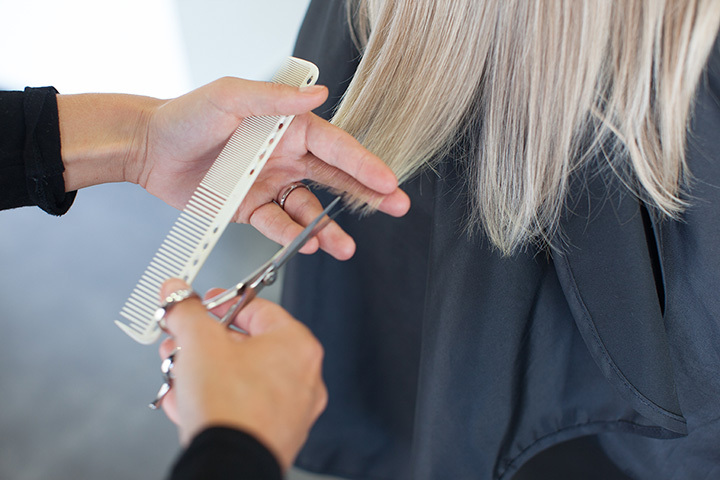 One of the best ways to refresh your style is with a trip to the hair salon. It doesn’t matter if you’re looking to go from long locks to a short bob or if you’re coloring your hair, Wisconsin’s expertly-run hair salons are ready to make you feel beautiful. Here are the 10 best in the state. With five locations throughout the Wisconsin area, it’s hard to decide which of the Neroli Salon and Spa locations to attend as they are all absolutely amazing. The goal of Neroli is to provide guests with an indulgent sanctuary style salon and spa. They are also a full service Aveda Lifestyle Salon and Spa, featuring all of the amazing Aveda products. They offer cut and styles for women, children and men, as well as bang trims, neck trims and beard trims. Another great salon with a view is the Salon Thor and Boutique, which opened its doors in 2007 in the Bay View area of Milwaukee. The salon is had a quaint and comfortable, inviting atmosphere to it, and they also carry eco-friendly Davines Concept products. Inside the salon you will also find a small boutique store that features many local artisan products such as handbags, leather, stained glass, etc. It’s not your typical salon! What’s better than getting your hair done in general? Having it done with a view! What makes the Beachcomber Salon unique compared to others is its location, right along the beach front area of Pewaukee Lake. The salon is part of the revitalization of the downtown village and beachfront areas of Pewaukee, and offers a variety of services and products, including Cezanne and Kerastase for all your haircare needs. Experience the star treatment at Cinema Hair Studio, where they commit to a higher standard of service and strive for excellence in all that they do. The studio is a full service Aveda Concept Salon located near downtown Madison and provide a variety of services outside of just hair, though that is what they are well known for. Stylish, one of a kind cuts and colors no matter the hair type or texture. If you are someone who suffers from dry or damaged hair, they also offer deep conditioning treatments to restore your hair’s natural balance. With each cut, customers also receive a stress-relieving scalp and shoulder massage, wash and style. Superior personalized attention is the motto of the Studio 890 Salons. They are 100 percent dedicated to their customers and each staff member is a trained, creative professional in the art of fashion, communication and technical skills. They are your ‘one stop shop’ for all things beauty, offering services such as manicures and pedicures, skin care, massage and wellness, and of course, all things hair, including some of the highest quality extensions. Everything about the Signature Salon and Spa in Waukesha, Wisconsin is about enhancing your wellness, way of living, and your image. It’s a high end, classical and luxurious atmosphere, complete with a complimentary warm or cold beverage from the café bar. Each visit comes with a consultation beforehand, whether it’s a haircut, spa service or nail care. The ultimate goal is a revitalized you. Simple Scissors in Janesville, Wisconsin is a pleasant, vibrant and colorful experience. The atmosphere is colorful and inviting, and provides a relaxing background as you indulge in hair care. What makes Simple Scissors so great is that each stylist takes their time in getting to know each individual customer and helping them discover the most flattering cuts and color. Whether it's your first visit or your hundredth visit, you can’t go wrong in choosing from one of their amazing stylists! Kari Hillebrand had a dream. To become a cosmetologist and own her own salon that specializes in the latest trends in hair, nails and eyelashes. In 2012, she was able to achieve her dream and opened the beautiful Bowdatious Salon, where it’s all about the customer, and helping them to find or maintain their style and helping them shine for every occasion. By the time you leave, you’ll not only have a great hairdresser, but you’ll also have a great new friend! Tangled Salon and Spa is located in the beautiful downtown area of Hudson, Wisconsin and features a fantastic team of individuals focused on bringing comfort, warmth and friendship into every customer experience. They want their clients to feel happy and relaxed when they came in, and more confident when they leave, ready to take on the world, one new do at a time. They carry products such as Moroccan oil, Loma, Neuma, and L’Anza Healing Haircare. “Live life in beautiful color and style” is the motto at Chris and Co. Salon in Delafield, Wisconsin. The artists specialize in the art of hair cutting and coloring by using the highest quality products and the latest technology to give each customer the precise style and color they desire. Each customer is treated to the highest level of service and individualization. One thing that makes the salon unique compared to others is that they participate in Locks of Love which provides hairpieces to financially disadvantaged children suffering from long-term medical hair loss. They also carry top quality salon products such as Goldwell, Sebastian, and Unite.